Okay, granted PaPa Jackie‘s is far. It’s the South Shore – but it’s not even at the tip. It’s deep in there, I’m talking neck deep. You probably won’t be casually stopping by because you’re in the area. 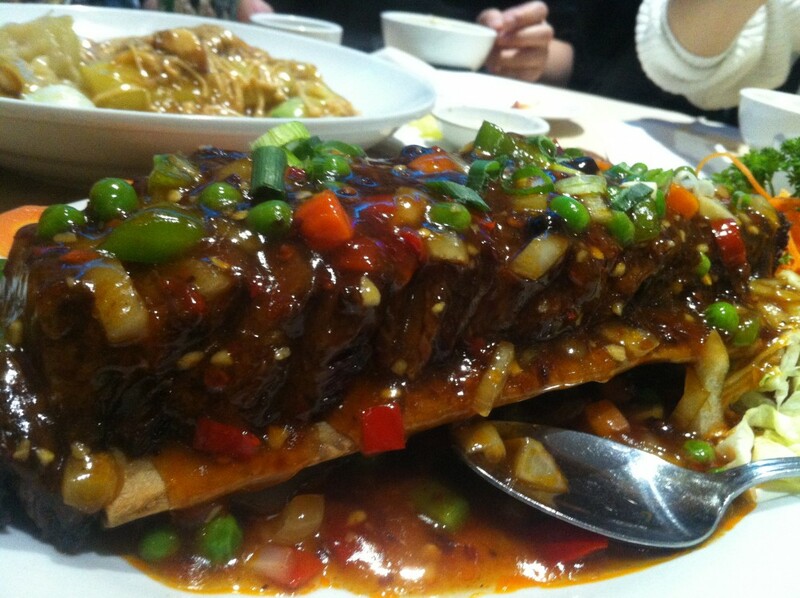 You’re going to go because you’ve planned to – if excellent, affordable Chinese food is what you’re looking for then PaPa Jackie’s is where you need to go. Saturday night was particularly busy – every table was filled. Make sure to make a reservation before you go if you’re making the trip. Having just made it off of a 15 hour flight from Toronto to Hong Kong, we were tired, cranky and on the prowl for something tasty to eat. Walking around Inside the Hong Kong International Airport, we went up to the 7th floor and found a number of enticing restaurants though the majority of them were not open as it was 5 am. 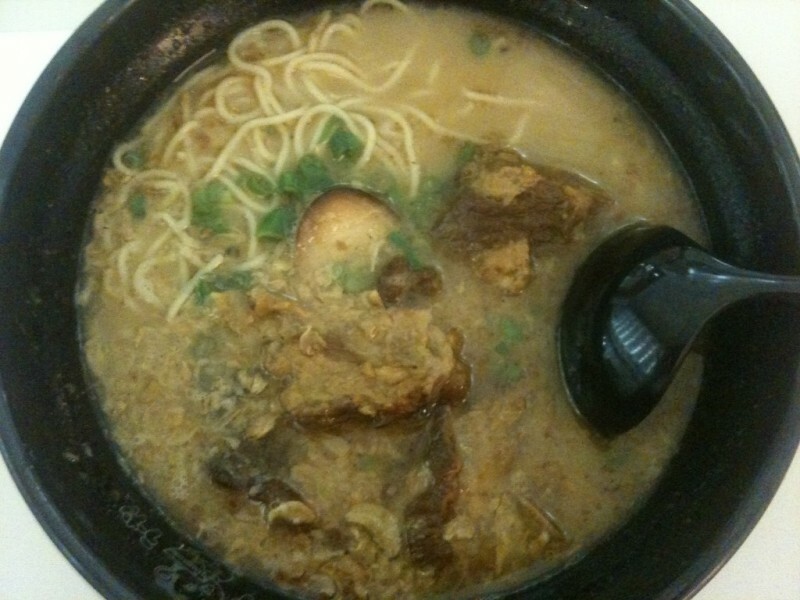 Lucky for us, one of the most attractive food stands was open – Ajisen Ramen. We each ordered a different ramen noodle bowl: one spicy beef bowl, one BBQ pork bowl, one garlic pork rib bowl and one vegetarian bowl. 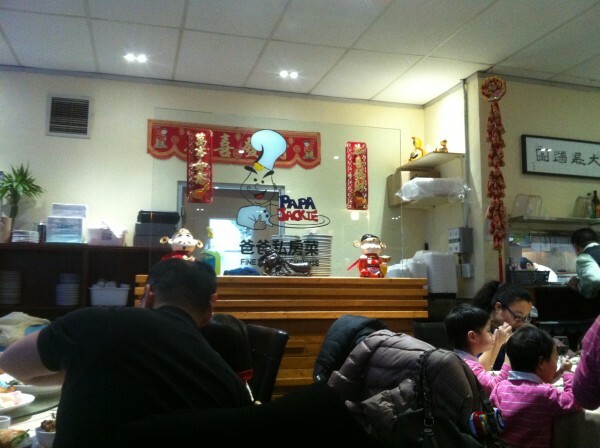 Service was fast and courteous – this was a given that we were pretty much the only ones there. If you happen to be stopping over at the HK International airport, Ajisen is a solid place to go. It is also entirely possible that we were just very hungry.